The Adrian Flux Driving Tuition insurance policy has been designed to offer competitive driving instructor insurance premiums with outstanding levels of cover. Whether you are an ADI or PDI instructor, we can arrange an instructors insurance policy to suit you, with a range of great features designed just for driving instructors. Not only are our driving instructor insurance policies loaded with the benefits and extras which driving instructors want, they also represent excellent value (see below for some example instructor insurance quotes, which will give you some idea of just how cheap we are). Even better, driving instructors who join our referral scheme can earn a generous commission payment for every pupil who takes out a policy - and with great rates for young drivers and drivers coming back from a ban, and discounts of up to 30% for Pass Plus we are confident that we can offer your pupils a very competitive rate, help increase your Pass Plus sales and reward you for your support. Because our staff are seasoned insurance experts, used to finding policies to suit unusual and even completely unique cars and situations, they know which insurers offer the best policies and the best prices for driving instructors. 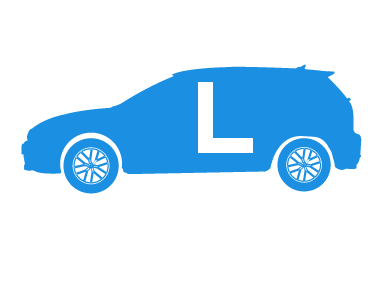 They will calculate your driving instructors insurance premium individually, using their expert knowledge of the various instructor insurance schemes on offer. And when you call us you will be speaking to a knowledgeable car enthusiast, based in the UK, not a button pusher in a foreign call centre. We don't believe in a one-size-fits-all policy, that's why all our policies are designed to suit each customer's individual needs. We offer flexible and competitive quotes for all circumstances, sourcing the best available driving instructors insurance scheme from amongst the many offered by our panel of over 40 insurers. Get your quote now! For quicker & cheaper driving instructor insurance rates by phone complete the call me form during office hours (9am to 7pm Monday to Friday & 9am to 4pm Saturday) for an immediate, no-obligation instructor quote. ** Sample quotes are for instructor policies with dual control cars and are comprehensive premiums for drivers with a license and No Claims Bonus as stated. These illustrative quotes, valid as at 11/07/2006, are provided for information only and do not form the basis of any contract or tender. If you're a driving instructor, you need to know that following an accident you can get back on the road and back to work as soon as possible. By providing dual control courtesy cars for non-fault accidents, we can help to take the hassle and stress out of an accident, and help you to keep working until your own car is either returned or replaced. For comprehensive driving instructor insurance, including dual control courtesy cars, click find out more or call us today.